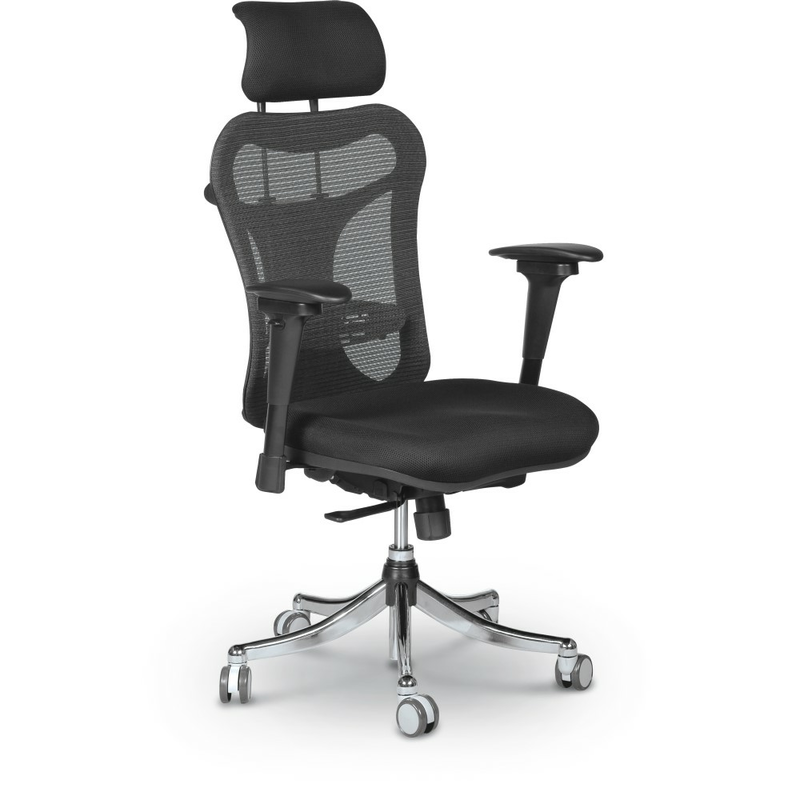 Padded and contoured seat measures a generous 21"W x 18.5"D.
Seat features adjustable depth, and is height adjustable from 17" to 20". 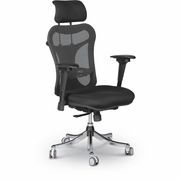 Stylish mesh back (21"H x 20.5"W) tilts and includes adjustable lumbar support device. Padded head rest (10"H) tilts and is height adjustable.